The Bathroom is central station for grooming, vanity and healing. It is also a place to relief ourselves physically – think poop and urine – and calm down emotionally – think taking a long, calming bath, oiling yourself or freshening up after a long, exhausting day. The bathroom is also a place to keep your body well oiled and joints moving smoothly. Growing old is a choice. An achy body is too. While linear age is unalterable, biological age is not. If we stock our bathroom with the right items, we support our body to stay young, vibrant and more alive for longer. Reaching for a high cabinet in the kitchen, walking upstairs or going for a long hike will no longer be an issue. You can find tons of inexpensive items to keep our joints well lubricated, your lymph moving and your circulation flowing, right over your sink. Sarah and I talk about various practices that are easily done at home to relieve aches and pains. Most of all we talk about Ayurvedic self massage, a simple yet immensely profound tool. From an Ayurvedic perspective, the first rule of thumb is….whatever you put on your skin should also be eatable. A visualization of your current bathroom set up and feel. Is it supporting you? Sarah O’Neil is a wellness educator, Yoga Health Coach, and advocate for bringing mindfulness programs into schools. She teaches Kindergarten-Fifth Grade students and teachers to be in the present moment with kindness. 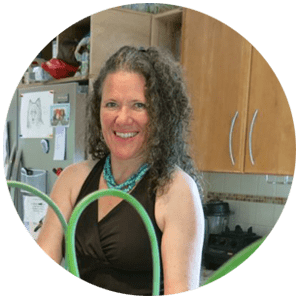 Her experience in the healing arts, herbalism, special education, yoga, managing her own restaurant, and mothering her daughter, she has gained the tools necessary to facilitate change for women and their families. What is your kitchen archetype?